As a fast and easy solution to recover deleted or lost files from Windows computer, recycle bin or others, Recuva enjoys large popularity since its first release in 2007. Though its update discontinued in 2016, Recuva is stilled considered to be a good choice to do computer or sd card recovery. Is Recuva Safe to Use? How to Do SD Card Recovery with Recuva? Many users have doubt onto the safety of Recuva, mainly for the reason that Recuva offers a totally free version for all users, which make users believe that a free app always comes with something annoying. However, it is 100% clean and safe to use Recuva, there is no virus or bundled malware. Though there is advertisement for in-app purchase of its Pro version, it is understandable and acceptable since it has offered a good free service for users to explore the Recuva service. So, no worries now, it is absolutely safe to use Recuva. As we know, Recuva is only available for Windows users, to use Recuva Mac or Recuva Android, you will need to find an alternative. However, there are 2 versions for Windows users: Free and Professional. Recuva installer is lightweight with a size of 5.3MB and the installation is quite easy thanks for its smart wizard. You will be guided to choose the file type and location where you want to recover the files. But for Recuva Professional, since it allows users to recover file from hard drive, there is an extra step guiding users to create disk image in the Wizard. A user-friendly interface can make things easier and this is what Recuva do for its users. The interface is neat but informative to give enough information for next step. Especially the interface for Wizard, scanning and analyzing process, it helps users to proceed easily. While for its Recovery interface, it may be a little clustered, yet it is still considerate to accommodate all the features for better user experience. After Recuva Wizard, you will be able to search/scan deleted files. If you have chosen the file type or location for scanning in the Wizard, the scanning process will be done faster. When comparing to other priced data recovery software, Recuva processes scanning much slower, also the name of scanned files are weird, not in their original names. Still, users cannot resume scanning if they find the scanning is going to last for some time. The feature to make Recuva different from other data recovery programs is that it helps to analyze damage on found deleted files. Therefore, on the Recovery interface, Recuva will display the status of these found files, to tell if they can be easily recovered or not, or if they can be retrieved or not. Though the accuracy of this feature is still controversial, it tells something. Recuva will find and locate numerous deleted files from your computer or card. In order to fast find and recover the preferred files, Recuva offers various options for smart recovery. Display of Found files: There are 3 modes to view the found files (List/Tree/Thumbnail), also users can put these files in good order according to filename, modified date, size, status, etc., which helps to fast locate a file for recovery. Select files for recovery: there are 2 ways to select a file for recovery, either highlight or check it. Secure Overwrite: You are allowed to overwrite the selected file after recovery. But give a second thought before using this feature, if Recuva finds the wrong file and overwrite, you are much likely to lose the file forever. 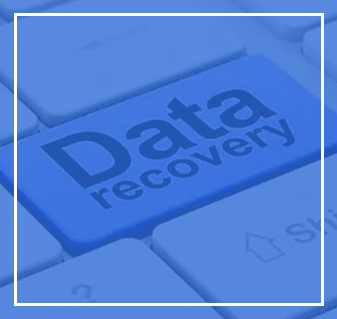 Difficulty of Recovery: During the Damage Analyzing process, Recuva has diagnosed the status of deleted files, it will tell which ones can be recovered successfully. Recovery results: the recovery rate is unstable. In my tests, only 40% files deleted in my Recycle Bin are recovered and 20% of these recovered files cannot be opened. Also, according to Recuva users’ feedbacks, Recuva helps for someone while do no good for others. But basically, it does good on recovering documents than that on media files, such as pictures, audios or videos. You may have noticed the “Switch to Advanced Mode” button on up-right corner. If the basic recovery mode fails to recover your files, you can switch to this mode. Under advanced mode, users can freely choose location to scan, choose to scan files or contents, select a file type for accurate scanning. Also, it allows users to preview the files, though some files cannot be previewed in this program. Yet, under Advanced Mode, Recuva will push its Pro version after each recovery, which is quite annoying. Should I Choose Recuva Free or Recuva Pro? Recuva Free is worth a try. So, if you want to try Recuve service, try Recuva Free first, but if you want a higher recovery rate, try a Recuva alternative instead of paying for Recuva Professional. The latest version of Recuva is V1.53.1087, there are 2 ways to download Recuva officially. Recuva supports to recover files from media cards and many users apply this method to do Recuva SD Card Recovery. Here we take “SD Card Recovery” as an example to demonstrate how to use Recuva. Step 1Connect your SD Card with your computer with a card reader. Step 2Download and install Recuva Free on your Windows PC. Step 3Finish the Wizard, choose the file type or location to recover deleted files. Then click “Start” to launch the scanning. Step 4Once the scanning finishes, select files for recovery. Step 5Click “Recover” to get deleted files from sd card back. Users have discussed a lot on Recuva data recovery tool in different platforms. And here we list some Recuva reviews from other tech authorities, so that you can get a better understanding if Recuva can help you with your deleted files. Being a free desktop program to recover deleted files from Windows, Recuva Free has proved its advantages over other free data recovery tools. But if you are looking for a program with higher recovery rate, an alternative to Recuva would be a better choice.